narrow gaps in equitable access to effective educators for students of color, students with disabilities, and students from low-income backgrounds. At the heart of our work is a core focus on instructional transformation: mentoring and induction programs are only as effective as the instructional supports that they offer to beginning teachers. Our tools and technical assistance deliberately integrate evidence-based strategies that reinforce the content and skills that all teachers need to serve struggling students. For example, our mentoring and induction toolkit includes information and resources about High-Leverage Practices (HLPs): instructional practices that both general and special education teachers can use to support students with disabilities in their classrooms. If your state or district is using mentoring and induction as an integrated talent management strategy for improving equitable access to excellent educators, our tools and service were designed with you in mind. We can assist with consultations, modification and customization of GTL tools to meet your unique context, and more in-depth, sustained supports based on need. Explore the information below to learn how the GTL Center can support your work. In Hawaii, the GTL Center is working with the Pacific Regional Comprehensive Center and the Hawaii Department of Education to strengthen the state’s capacity to lead data-driven conversations to identify needs and target induction supports in high-need schools. We co-facilitated a pilot conversation and data protocol in the East Hawaii Complex Area to focus their efforts on meeting the needs of beginning teachers in their schools with the highest teacher attrition rates. The work will continue with additional state-wide trainings for all Hawaii DOE induction specialists so they can lead future data-driven conversations around M&I quality throughout the state. In Indiana, the GTL Center, Great Lakes Comprehensive Center and the Indiana Department of Education have piloted a new mentoring and induction program with Kokomo School Corporation to address the needs of beginning teachers in their highest-need schools. Kokomo has developed, piloted and scale-up their own program based on the GTL Center's M&I Toolkit. Based in Kokomo’s success, partners are collaborating to support the state in scaling-up high-quality mentoring and induction models to four additional high-need districts. 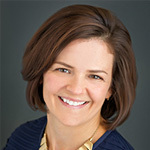 In partnership with the CEEDAR Center, the GTL Center is helping the Oregon Department of Education (ODE) to cultivate partnerships with districts and educator preparation programs to create mentoring and induction programs focused on strengthening the skills of educators to serve students with disabilities. 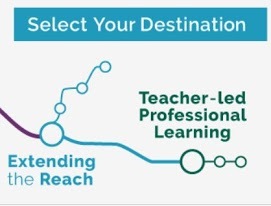 The Centers are working with the ODE on to professional learning events to ensure that mentoring and induction program content is grounded in evidence-based practice and is aligned across the preservice and inservice settings. Support will also be given to create infrastructures for IHE faculty to become more involved in mentoring and induction at the local level using high-leverage practices (HLPs). The Mentoring and Induction Affinity Group supports six states and nine partner districts in the Talent for Turnaround Leadership Academy (T4TLA) in designing or strengthening mentoring and induction supports in their highest need, lowest performing schools. T4TLA partners support affinity group members with a first-of-its-kind model that integrates what the research says about elements of effective mentoring and induction programs with the unique contextual considerations required to design and launch a program in a turnaround environment. Within the affinity group, state education agencies work together with at least one district, with the goal of scaling lessons learned to other turnaround districts. The GTL Center held a series of peer-to-peer meetings connecting the Indiana Department of Education team with state education agency (SEA) colleagues from Hawaii, Washington, Iowa, and North Dakota. Each shared information about their statewide mentoring and induction programs. Explore Indiana’s infographic summarizing what SEAs learned. Updated in January 2019, state leaders can use the Mentoring and Induction Toolkit 2.0 to 1) facilitate meaningful conversations with districts about the design and implementation of mentoring and induction programs, 2) review summaries of research and best practices, 3) explore relevant examples, and 4) create a streamlined process for action planning. The revised toolkit includes a deeper focus on equity with new insights and information about tailoring mentoring and induction programs as part of an equitable access strategy in high-need contexts. 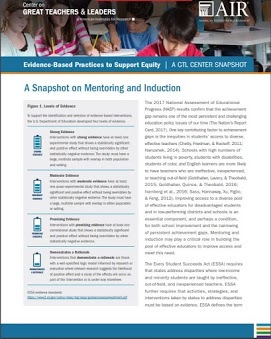 State and district leaders can use the GTL Center’s Snapshot on Mentoring and Induction to make informed policy decisions that take into account the evidence base for mentoring and induction strategies to improve supports for and equitable access to great teachers and leaders. 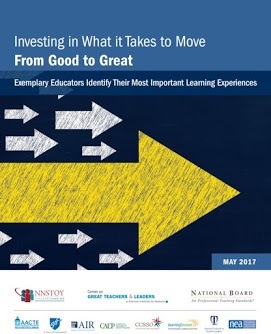 The snapshot describes mentoring and induction strategies, how states and districts have implemented these strategies, and the empirical studies and evidence demonstrating the strategy’s effect on educator and student outcomes. How have great teachers become the excellent educators they are today? What experiences and supports helped these teachers refine their practice over time? This three-part research project goes straight to the source and asks some of our nation's best educators to share their insights and reflections on these critical questions. Many excellent teachers would like to share their success with peers and advance in their careers without leaving teaching but have few opportunities to do so. 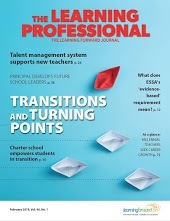 The Innovation Station’s resources help schools and districts determine how they can enable excellent teachers to lead job-embedded professional learning. Improving equitable access to excellent educators requires customized, evidence-based strategies that are designed to meet unique local needs. After states and districts have examined their workforce data, engaged stakeholders, and conducted a root cause analysis, the next step is to use the information gathered through these processes to inform strategy selection. The tools and toolkits below can help states both during the data analysis and strategy selection steps.